The UCI Road World Championships are coming to Yorkshire! The day for Leeds to shine is Sunday 29th September 2019 when the mens race comes to Leeds. 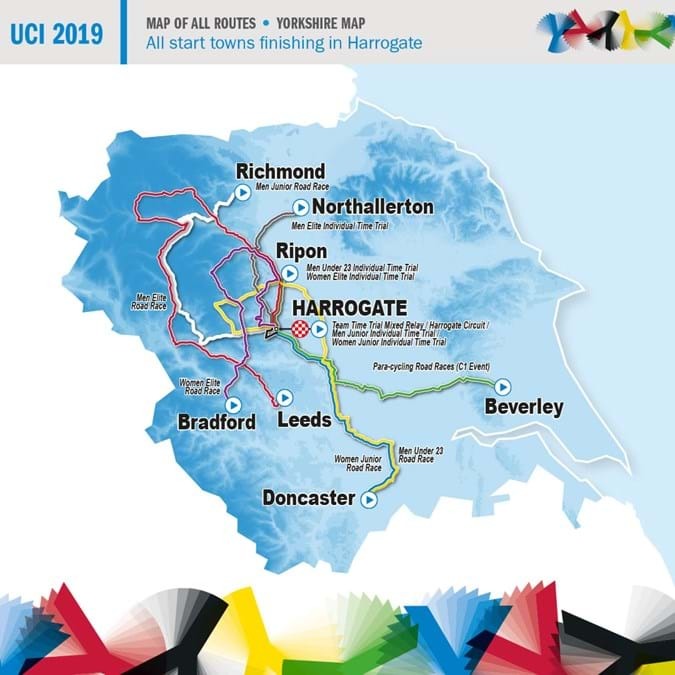 Harrogate will serve as the destination town for every race (so if you’re heading there, be sure to check out our sister site Harrogate Mumbler, for ideas on where to eat, places to stay etc).